Entertainers dream, 2,594sf open concept rambler w/stunning views of Mt Pilchuck. Chefs kitchen w/skylights, dble ovens, granite, SS appliances, walk-in pantry & builtin wine rack. Frml Dining & Den (den use as 4th bdrm) Master Retreat w/french doors/covered deck & private hot tub, tiled master bath w/ glass block shower & walkin closet. Oversized 3 Car Gar (992sf) Heat pump. Located greenbelt/private almost 3/4 acre on cul-de-sac/greenbelt in desirable gated community ESTATES at HIDDEN CREEKS! Street of Dreams builder- Newhall Jones & Stackman View Resale.Luxury style home features two master bedrooms,gleaming hardwood-floors,9' foot ceilings,custom built-ins,Bosch Stainless appliances,extensive tile work,& Boxed Coffered Ceilings.Multi-level entertaining from your living area or enormous finished daylight basement.Enjoy incredible views from your large deck,Hot tub,& fully landscaped manicured backyard.W/in minutes of 167,restaurants,schools,parks,recreation,& beautiful golf courses. 5k bonus towards options & blinds included! This 5 bedroom floor-plan complete with 3car garage,private owners entry,&spacious great room.Gourmet kitchen complete w/quartz counters,huge center island,full height backsplash,SS appliances,pantry & separate eating area.Spacious master w/massive walk-in closet & spa inspired on-suite.Fully landscaped front/backyards included! Located all w/in min of I-5 &167,restaurants,schools,parks&recreation.Come see what Kendall Homes has to offer. Truly amazing lodge home with every luxury imagined, must see to believe this home. Huge 1513 sf of front and rear porches, 980 sf 3 car garage with unfinished loft for MIL apt. Long circular drive, large barn with stables, hayloft, shop, machine shed, fenced and cross fenced. Level and all usable lot in private setting. This property is for only the hard to please. A heavenly place for your horses. 6 lots with non-conforming mobile homes owned by the tenants. Zoned HC/MU, this property is prime for redevelopment. Includes Tax Parcels 00729800000600, 500, 400, 300, 200 and 100. Additional lots to the south may also be available on another listing. Could purchase 8 or more acres fronting on Smokey Point Blvd across from the senior center. Tenants have 1 year to move as they own their own homes. Tenant notice will go out on March 1, 2018. Must be sold as 1 listing. Income during planning. Bell Hill Estates is an approved plat for 103 lots overlooking the City of Sequim, WA. Building permits are ready to pick up for Phase one of this three phase project. Phase one is 26 single Family Homesites Phase two is 38 lots and Phase three is 39 lots. Priced at under $20,000.00 per lot with construction approval. Start building this summer. 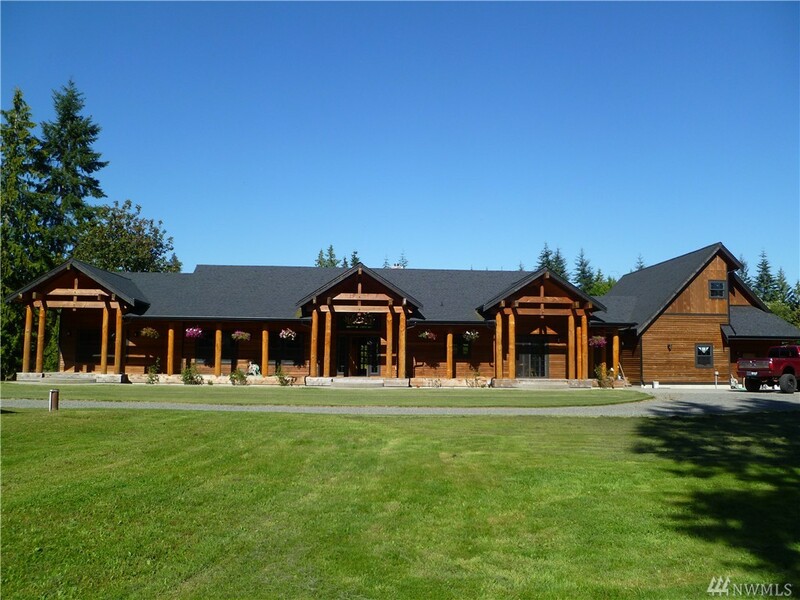 The Sequim market is brisk and new homes sell quickly. This is the very best location for access and view anywhere for a large approved plat. Nearly-new and gorgeous, this modern beauty features extensive upgrades including a generous downstairs bonus room with wet bar, upstairs flex/playroom, Thermador built-in kitchen, plus window coverings and a fully fenced backyard. Deck off master, living room, and downstairs covered patio. Convenient for commuting, yet quiet neighborhood. 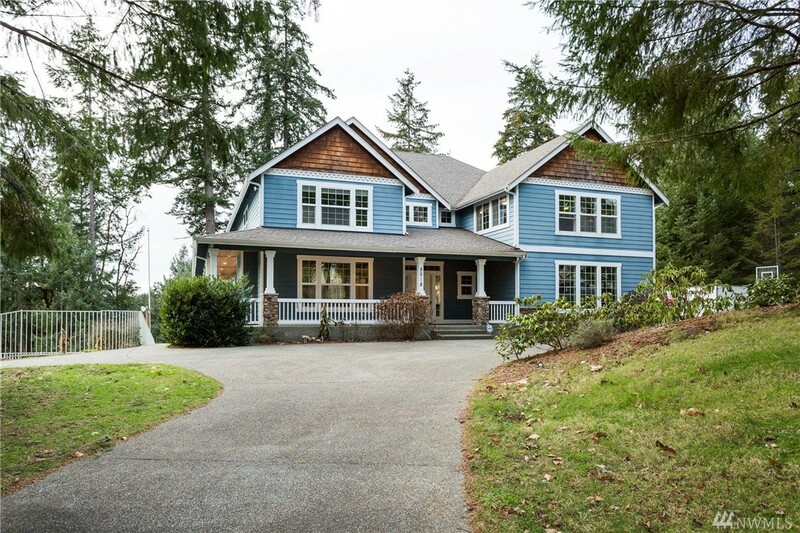 Direct access to Market Street from Forbes Creek Dr. Steps to Crestwoods Park, Kirkland Middle School. Minutes to Juanita Village. French chateau style home, great view of Puget Sound and Cascade Mtns on gorgeous private shy acre lot adjacent to 75 acres of trees. Home has had many recent first class upgrades and includes a charming separate glass enclosed solarium/tea house in the middle of a beautiful garden area. 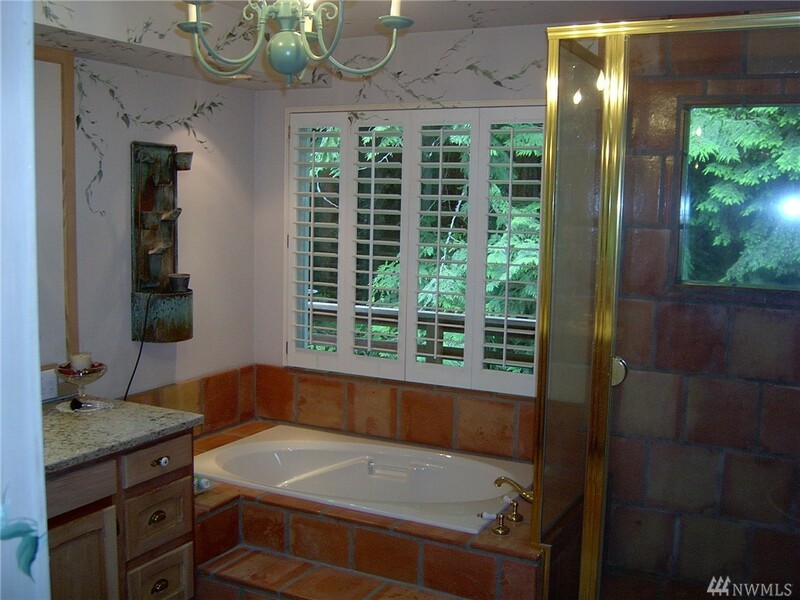 Saltillo tile floors, Cambria counter tops, gleaming copper hood. Huge deck in private setting. Private well, water filtration, softener, instant hot water and backup propane generator. Close to Langley. Dive in to your own personal oasis! Picturesque views of Gig Harbor await you from almost every room in this house, whether entertaining in the gourmet kitchen, savoring a meal on the deck, enjoying the spacious master bedroom, or throwing a fabulous poolside party. Downstairs boasts a second full kitchen and bath with separate entrance. Fully fenced landscaping includes mature fruit trees, water features, and dramatic exterior lighting. 20 acres of agricultural land for sale with so many possibilities! 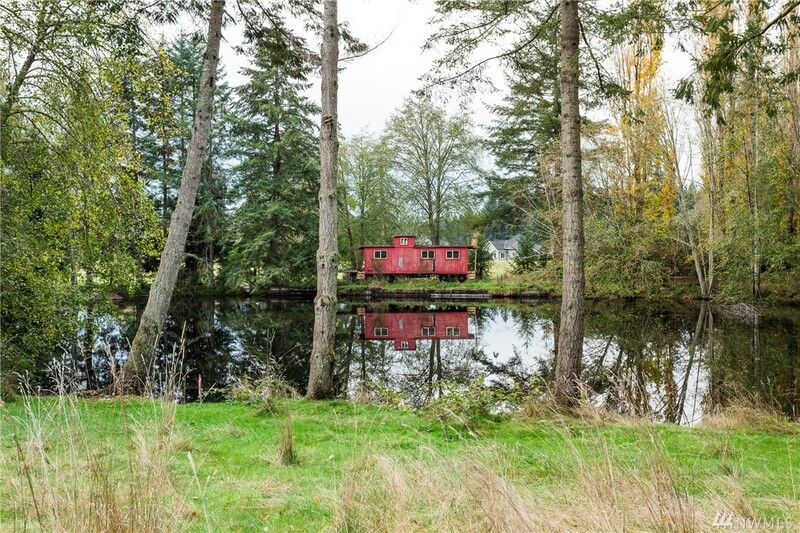 Beautiful scenery, commercial grade timber and a lovely pond. Land also boasts a stream, outbuildings, riveting views and opportunities for residential structures. Exceptional design & quality highlight this beautiful estate on 5+ acres. An enchanting circular driveway welcomes you to this one-of-a-kind home featuring a luxury in-ground pool, outdoor living space the entire length of the home & stunning golf course views. The stellar open layout of the home makes it perfect for entertaining. Downstairs you will find the same impeccable finishes as you did upstairs with a perfectly designed, separate access MIL. Designed to make you never want to leave! Soak in breathtaking sunrises over Mt. Rainier from this exquisite high-bank waterfront estate in Aqua Vista. The home was thoughtfully designed with easy 1-level living, and a flawless floor plan that is perfect for entertaining! 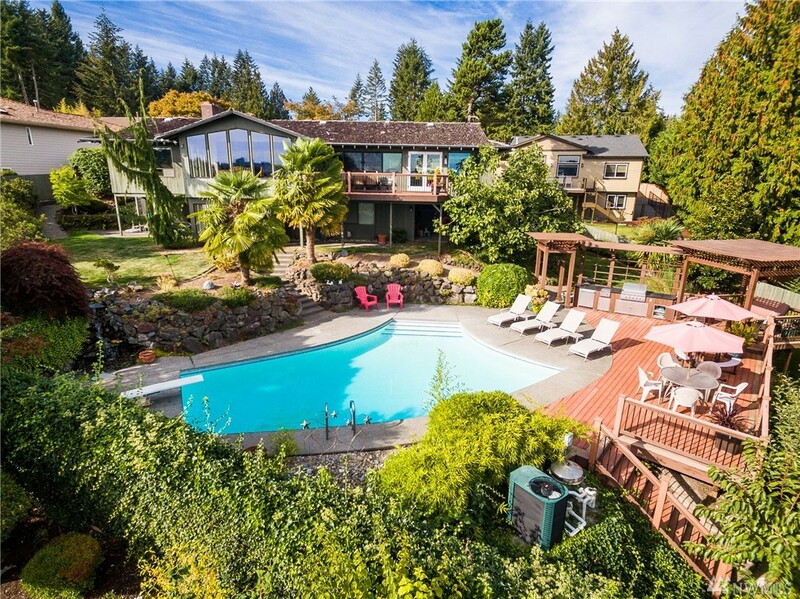 The 1.8 acre estate features a handicap-accessible guest house, indoor pool with roll up doors, manicured park-like grounds with fruit trees, vegetable gardens, and sprawling lawn area with dazzling 180 degree views of Puget Sound, Mt. Rainier and the Narrows. Quality single-story home situated on a quiet street provides easy living and privacy. Brazilian cherry floors, wainscoting, and crown molding throughout. The grand circular floor plan includes gorgeous kitchen, both casual & formal dining spaces, inviting great room, spacious office, luxurious master bedroom & bath. But wait, there's more: enjoy the secluded patio overlooking waterfall & greenbelt or tinker away in the expansive 2-car garage. Don't miss listing video! Great Income . opportunity! 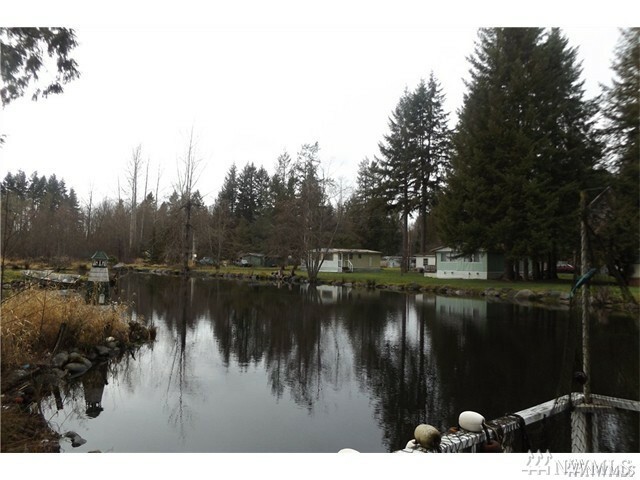 A beautiful well cared for manufactured home park located in the country between Roy and Spanaway,Great View of Mt Rainer and 3 stocked fishing ponds for the residents to relax and fish, there are 36 active lots, 30 have parked owned homes that are rented on a month to month contract, the other 6 just pay space rent take out the old homes and replace with new, or build stick built,.ready .. each space is large enough for a triple wide, or double wide with a garage. Shy 13 Acres Business Potential, 6 parcel. Three bedroom home, two barns, detached two-car garage/shop, three sheds. Two year-round creeks and no neighbors from the south fence for 35 miles, just rivers and forest. Across from the new Pierce County Park with walking trails, picnic areas, playground, and amphitheater. Zoned Village Commercial Gateway Community with 800 ft. of hwy frontage. Close to the entrance of Mt. Rainier National Park, perked and wet land study complete.